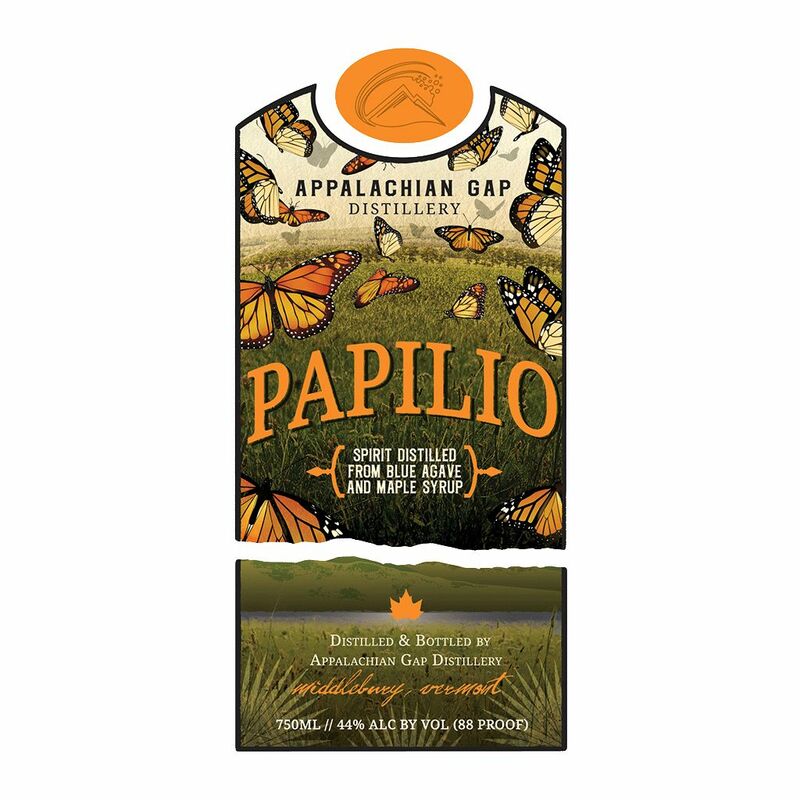 Spirits Appalachian Gap Distillery Papilio Agave-Maple Spirit Vermont - Royal Wine Merchants - Happy to Offer! 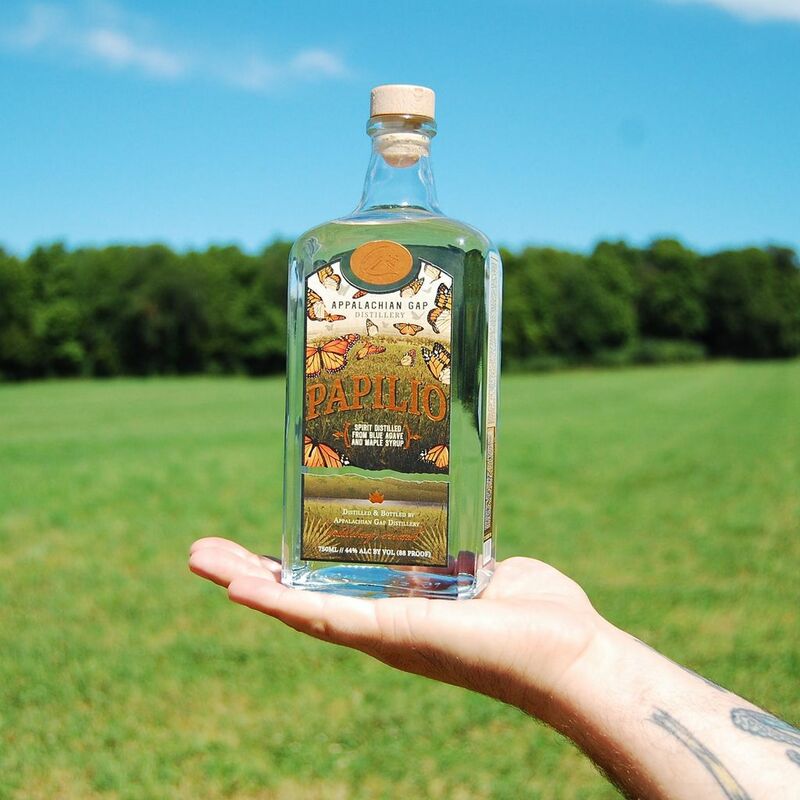 Imported organic blue agave nectar from Jalisco, Mexico, mixed 4:1 with dark maple syrup. 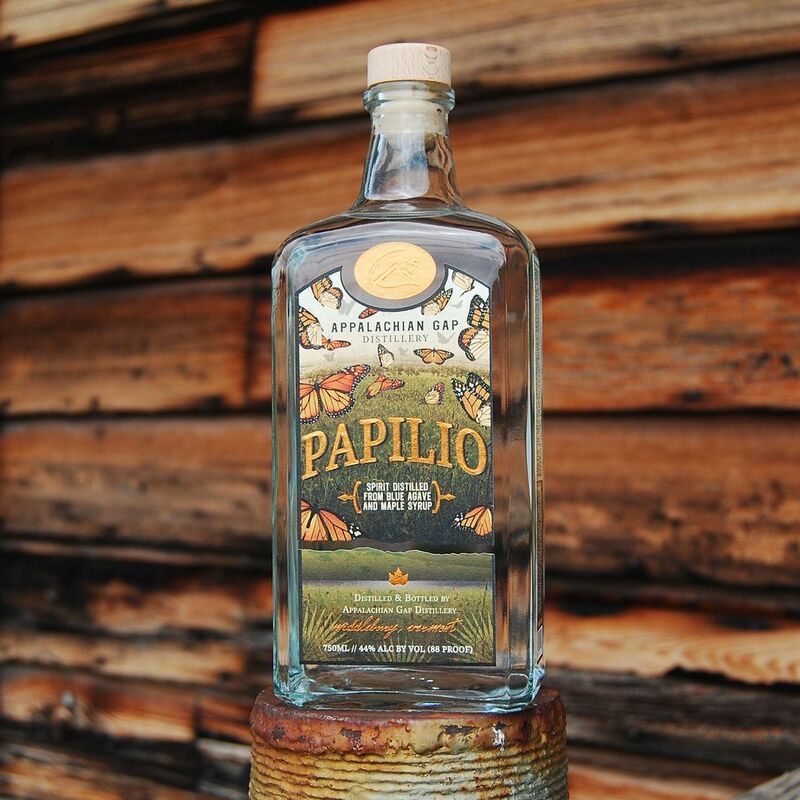 Three to four weeks of fermentation and double distillation through a hybrid still result in a spirit like no other in the world. 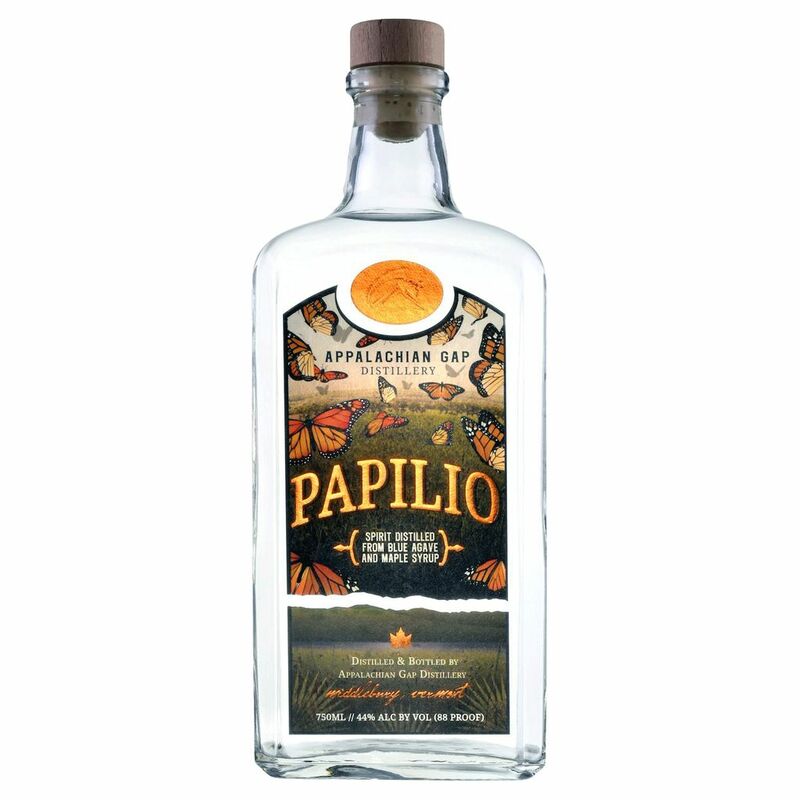 Very clean and pure, with a muted tequila flavor overlaid with the smoky sweet notes of maple syrup. 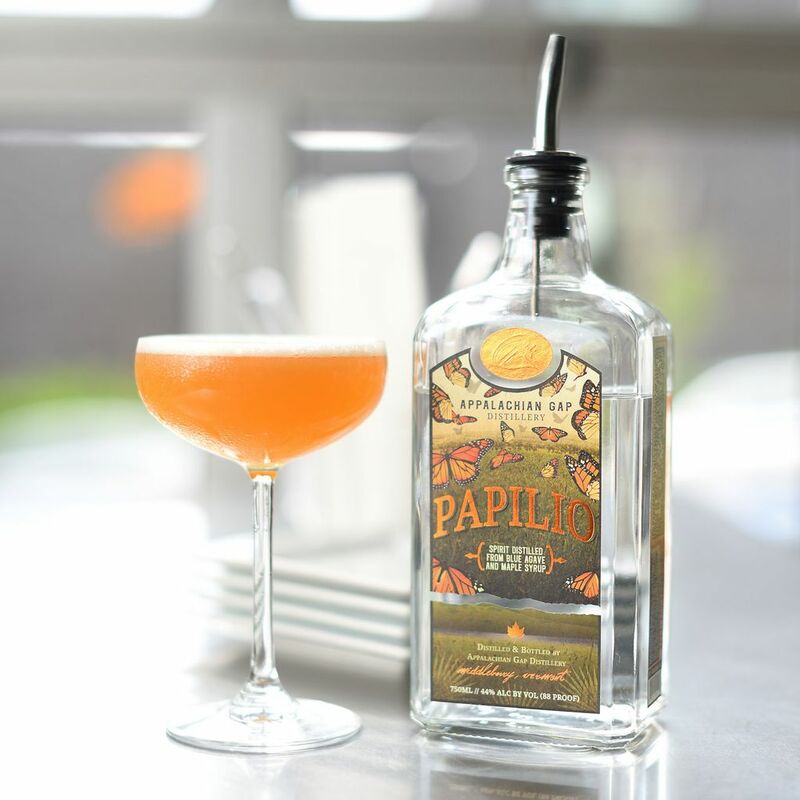 Flavors are delicate, not dominant, but stand up to citrus and other appropriate mixers. 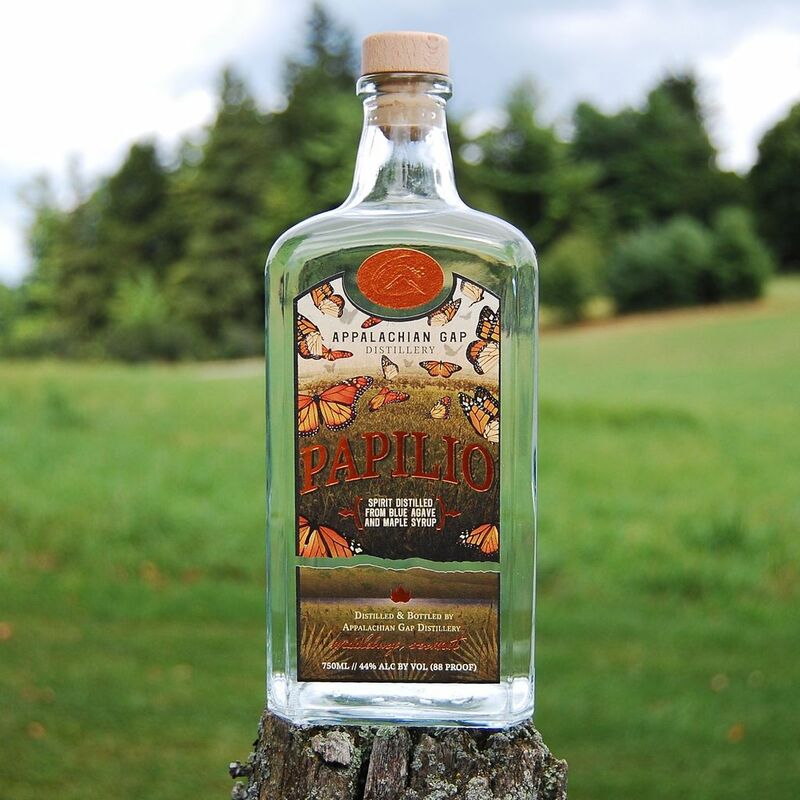 Finish is very clean, with a nice residual warmth from the high proof, and lingering maple notes.